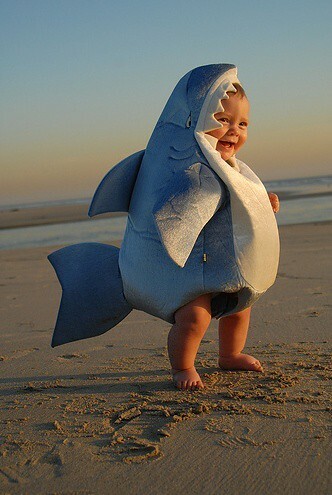 It’s the most wonderful time of the year, guys and gals: Shark Week is back. After falling deep down the wormhole of the Summer Olympics (or as we like to call it, the Swimmer Olympics), it’s nice to have something else sleek and muscular to watch in the water. 1. 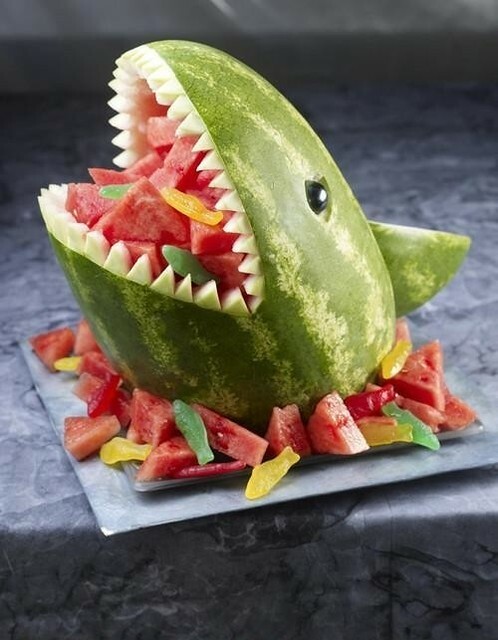 Make a ridiculous watermelon sculpture, and try not to scare the bejeezus out of your kids. 2. 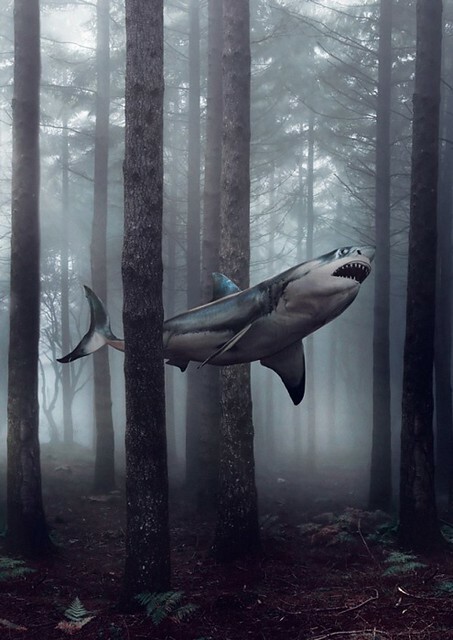 Imagine if sharks could fly and never sleep again. 3. 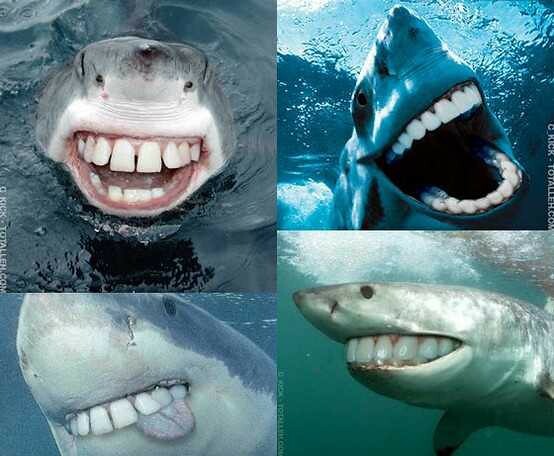 Imagine sharks had movie star teeth and feel better. 6. 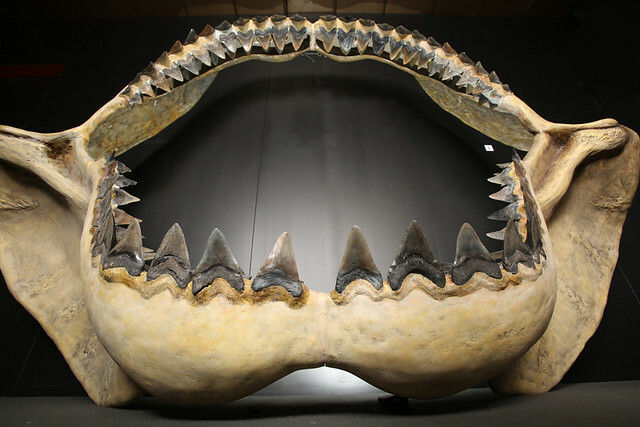 Learn more about the fiercest shark that ever lived and rent Mega Shark Versus Crocosaurus. Just kidding — visit our new Hall of Paleontology to see a cast jaw, spectacular paleo art by Julius Csotonyi, and a compelling display of the jaw with the prey it’s poised to consume.